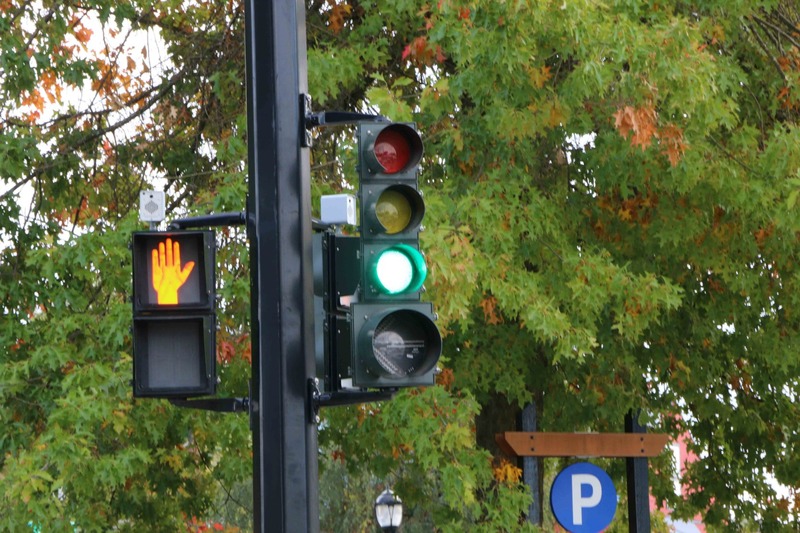 In British Columbia the laws on traffic lights are contained in sections 127 (green lights), 128 (yellow or amber lights), 129 (red lights), 130 (arrows), 131 (flashing lights), 132 (pedestrian controls) and 133 (pedestrian controlled signal) of the Motor Vehicle Act. 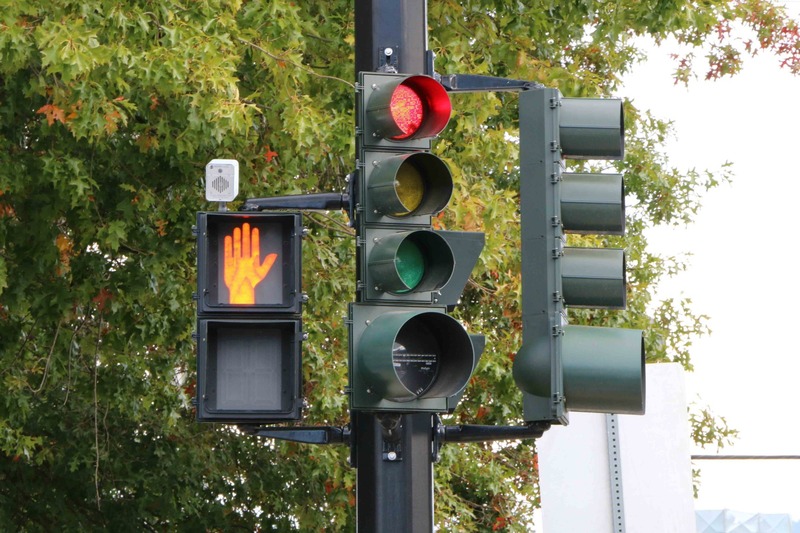 (b) a pedestrian facing the green light may proceed across the roadway in a marked or unmarked crosswalk, subject to special pedestrian traffic control signals directing him or her otherwise, and has the right of way for that purpose over all vehicles. 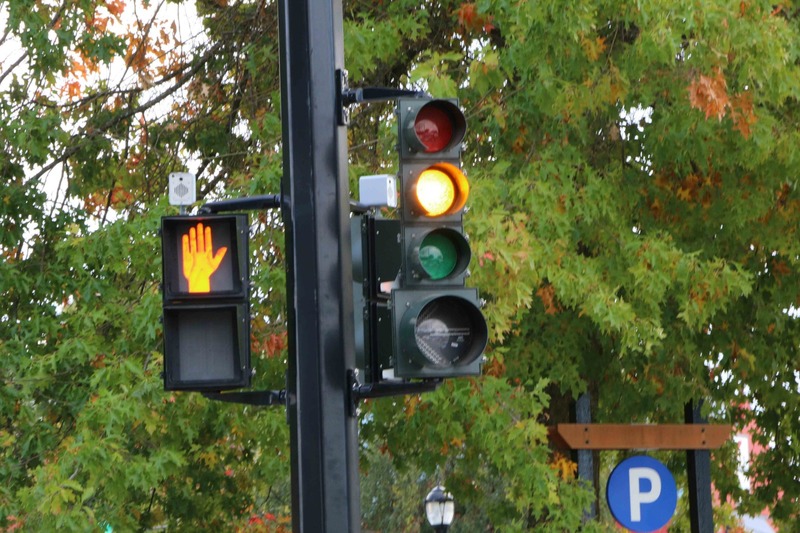 (ii) a traffic control signal instructs the pedestrian that he or she may cross the roadway. (ii) has the right of way for that purpose over all vehicles. (2) The driver of a bus approaching an intersection and facing a red light and a prescribed white rectangular indicator may cause the bus to proceed through the intersection. (3) Despite subsection (1), and except when a right turn permitted by this subsection is prohibited by a sign at an intersection, the driver of a vehicle facing the red light, and which in obedience to it is stopped as closely as practicable to a marked crosswalk on the near side of the intersection, or if there is no marked crosswalk, as closely as practicable to the intersection, may cause the vehicle to make a right turn, but the driver must yield the right of way to all pedestrians and vehicles lawfully proceeding as directed by the signal at the intersection. (b) a pedestrian may proceed across the roadway. 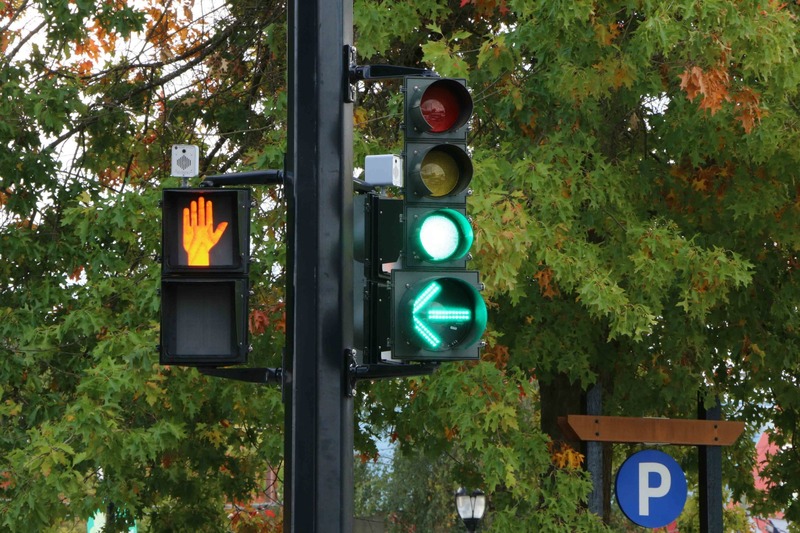 (b) a pedestrian facing the green arrow must not enter the roadway unless a pedestrian traffic control signal or the exhibition of a green light by a traffic control signal instructs the pedestrian that he or she is permitted to do so. (b) a pedestrian facing the flashes of red light may proceed with caution across the roadway, in a marked or unmarked crosswalk. (b) a pedestrian facing the flashes of yellow light may proceed with caution across the roadway, in a marked or unmarked crosswalk. (b) a pedestrian may proceed across the roadway with caution. (b) a pedestrian may proceed across the roadway with caution and at an intersection only in a marked or unmarked crosswalk. 132 (1) When the word “walk” or an outline of a walking person is exhibited at an intersection by a pedestrian traffic control signal, a pedestrian may proceed across the roadway in the direction of the signal in a marked or unmarked crosswalk and has the right of way over all vehicles in the intersection or any adjacent crosswalk. (2) When the word “walk” or an outline of a walking person is exhibited at a place other than an intersection by a pedestrian traffic control signal, a pedestrian may proceed across the roadway in the direction of the signal and has the right of way over all vehicles. (b) at a place other than an intersection, in the vicinity of which there is a marked crosswalk, only in the crosswalk.